We offer a manufacture and installation service throughout the North West. 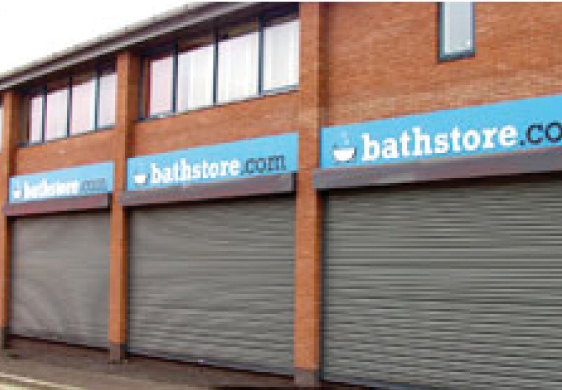 Our high quality Roller Shutters are ideal for use in the protection of Offices, Shops, Factories, Warehouses and other Public Buildings such as Hospitals, Clinics, Doctors Surgery’s, Nursery’s, Health Centres, Colleges, Schools, Universities, Libraries, Swimming Baths, Gyms, Recreation Centres, Sports Halls and Prisons. Excel Roller Shutters specialise in the manufacture and installation of all types of Roller Shutters including steel roller shutters, sliding grilles, window bars/mesh, anti-ram bars/mesh, PVC strip doors, hinged Steel Personnel Doors and fire resistant roller shutters. Our customers include Local Authorities, Blue Chip companies through to individual small businesses and domestic users. Mr Andrew Northey and his excellent team completed a garage door job at my elderly mothers home in Lytham, Lancs today. It wasn't the most straight forward of jobs by any means. Your team were polite, quick, and very efficient. The cost was highly competitive and fair too. Prompt, efficient, craftsmen, who had time for an elderly person, and did the job very quickly. Thank you very much, your people are a credit. I fully recommend your company.